The Social Security Disability Lawyers At Cutter Hall Karlock, LLC, In Columbus, Ohio, Offer Clients More Than 60 Combined Years Of SSD Experience. If you have suffered an injury or illness that has put you out of work, Social Security Disability Insurance (SSDI) payments may be available to help you obtain the income you need. Cutter Hall Karlock, LLC, on 85 East Gay Street in Columbus is one of Central Ohio's pre-eminent SSDI law firms. The Social Security Disability attorneys at Cutter Hall Karlock, LLC, know how difficult and frustrating it can be for people who are denied the benefits they deserve. Securing SSDI benefits can be especially difficult without passionate legal advocacy moving your application or appeal through the process and fighting aggressively on your behalf at every step. Don't be discouraged if your initial claim has been denied. 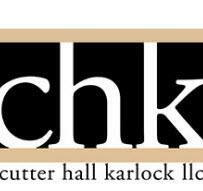 Call the Columbus office of Cutter Hall Karlock, LLC, for a free consultation to discuss the merits of your claim. The firm handles nearly all SSD claims on a contingency basis. You will pay no fees upfront and will pay no fees if you do not win your case. Office hours are flexible and we will work with you to find a time and place that is mutually convenient to meet.